This is the littleBits Space Kit, a unique electronics kit for beginners and experts alike that contains everything you need to make your own space investigative projects. 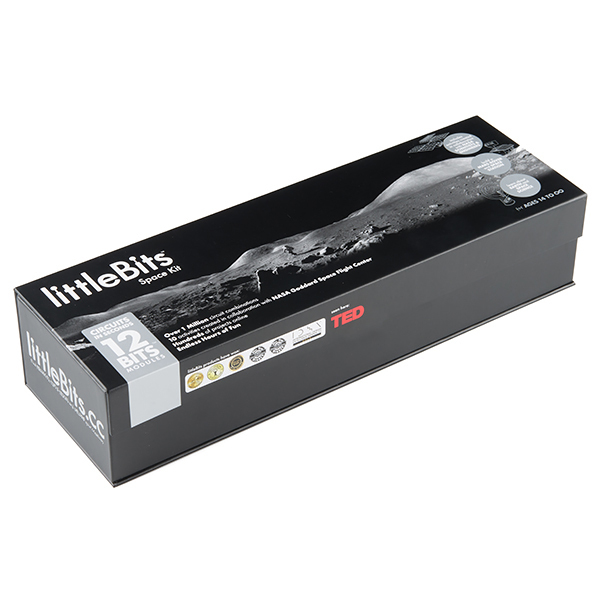 With the littleBits Space Kit little to no engineering knowledge is required to build your customizable projects. 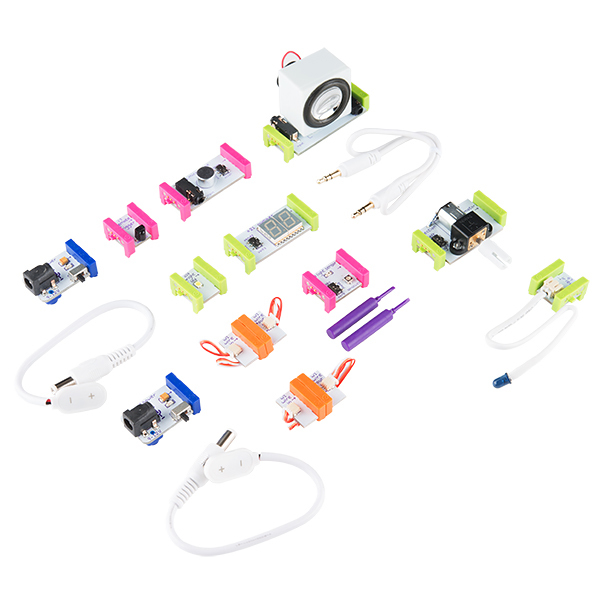 Included in this Space Kit are 12 different littleBits modules that can be attached together to create your space project, two 9V alkaline batteries and cables, a small screwdriver to modify a micro adjuster, and a full-color instruction booklet with 10 fun projects to create. With this kit you will be able to easily make a multitude of projects including: making a small wave generator, measuring the atmosphere, or making a basic satellite dish! It even comes in a snazzy cardboard box with magnetic closure.